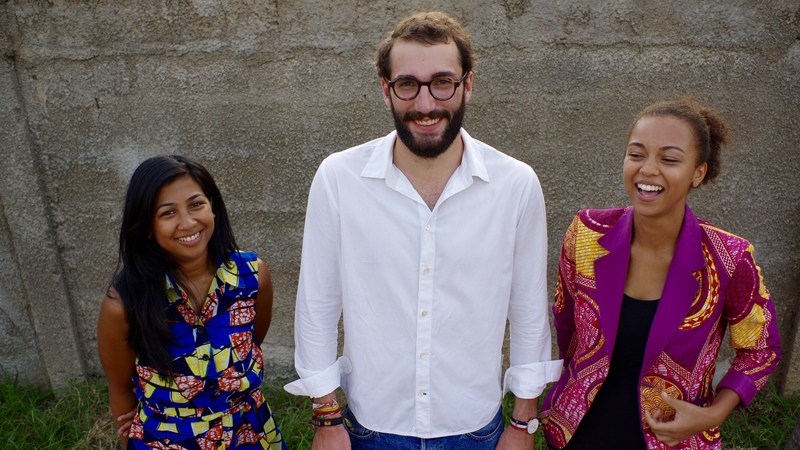 Miora Randriambeloma, the Malagasy co-founder of Chalkboard Education reflects on the work she and Adrien Bouillot (who moved to Ghana after finishing his studies at Sciences Po Paris) have achieved with their team since launching Chalkboard Education in 2015. They launched Chalkboard Education to speed up the process. The mobile-learning app intends to give students access to university courses offsite, on any kind of mobile phone and without the internet. They complete assignments on their mobiles and professors can then track their activity live via a SMS and USSD-based dashboard. ‘It’s about delivering content through the most inclusive technology, so that we can put everyone on board. That is the only way we can make ACCESS to higher education easier, and that is why our Ghana-designed solution is fit to Africa. 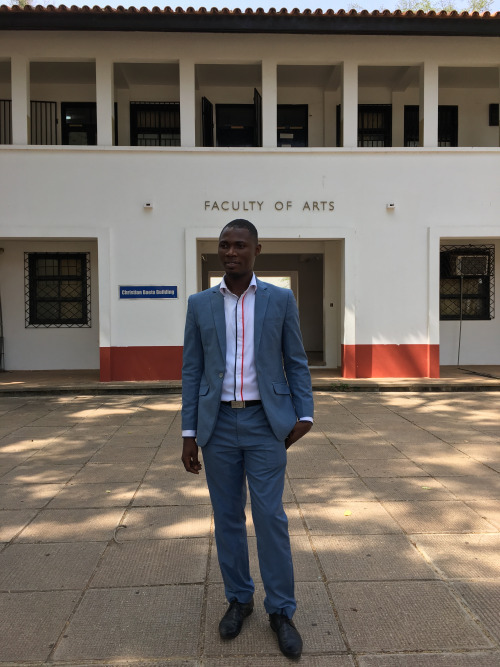 Miora is clearly happy with how it went: there was a ‘100 per cent retention rate’ among students at the University of Ghana during a pilot-run of the scheme and all students also handed their assignments in on time – and passed. 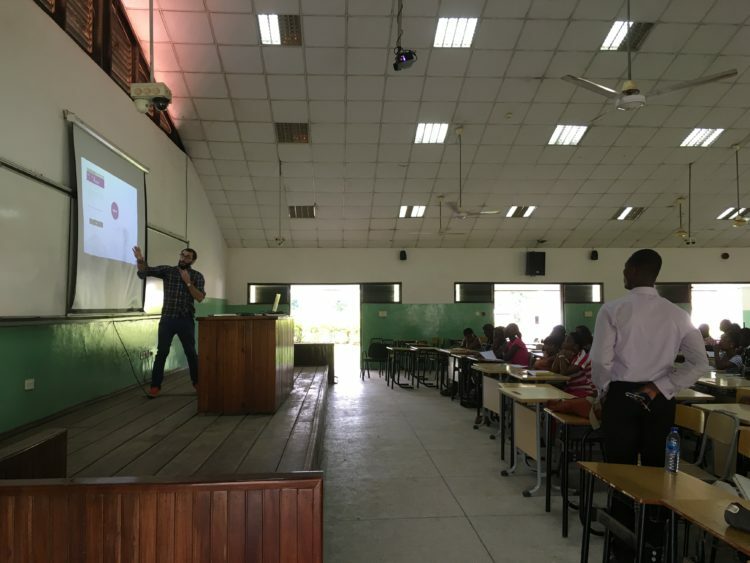 The beta course launched at the University of Ghana allowed Chalkboard Education to get feedback from actual students. While completing actual courses, they could inform Chalkboard of any hitches like codes not being received for upcoming assignments or issues arising if their phone breaks. 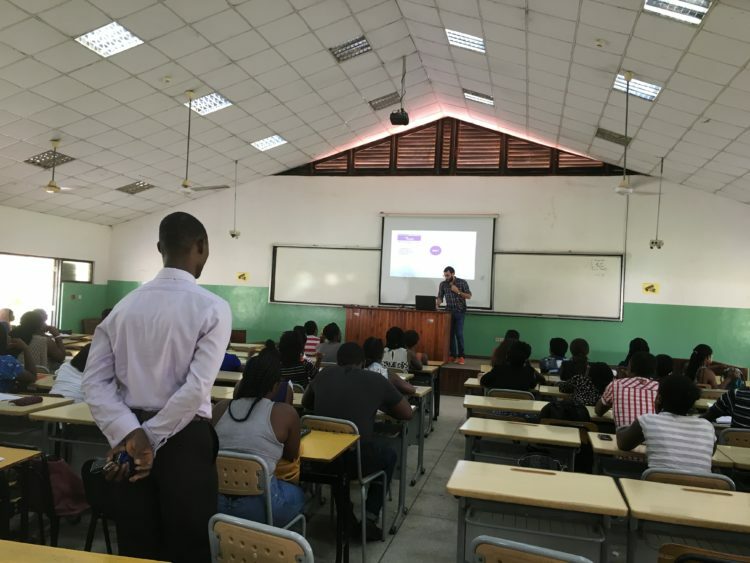 ‘The app definitely made the students commit more every week, and I could see progress for every one of them, including those who usually work a minimum and submit their assessments late,’ said Dr. Agbefle, the professor running the beta course with his class, after the end of the semester. And what does Miora want Chalkboard Education to achieve in the future?